"Security researchers warn that a new worm is targeting instant messaging users. Spotted on Yahoo! 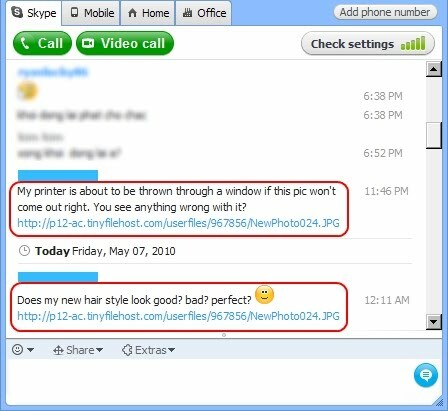 Messenger (YM) and Skype, the attacks use sophisticated social engineering techniques to trick users into infecting themselves. It certainly looks like IM worms are making a comeback on the threat landscape, as this is the second malware of this kind to emerge in under a week. Just this Monday, the online community was abuzz with news of a worm rapidly spreading through Yahoo! Messenger. The threat was so serious that BitDefender saw fit to release a standalone removal tool. Security researchers from Vietnamese antivirus vendor Bkis are again amongst the first to report on the new attacks, which, this time, have extended beyond YM and affect Skype too. "Still using the method of inserting malicious URLs into chat windows like [their alias for the worm discovered earlier this week], however, social engineering skill of the Worm, this time, is much more sophisticated than the previous one," they warn..."